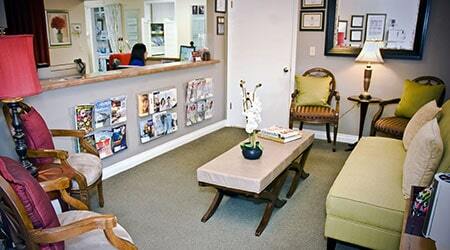 Get to know more about our Salinas dental office. At TLC Dentistry, we know that nothing is more beautiful than a perfect smile. At TLC Dentistry, we strive to provide our clients with the best, personalized care and modern treatments available. We wish to know all of our clients, and we pride ourselves in providing professional and affordable care to everyone that comes through our doors. Our office is designed to make your appointment peaceful, and our trained staff are ready to answer all of your questions. We have been serving the city of Salinas and the Monterey Peninsula since 1962. Dr. Philip J. Lips and his professional team continue to treat patients with the most up-to-date technology available and with a kindness that makes every visit an enjoyable one. Our expert staff provides general and cosmetic dentistry services for the whole family. You deserve a bright and healthy smile, so come on down today to see how we can help you! Schedule an appointment with TLC Dentistry today!